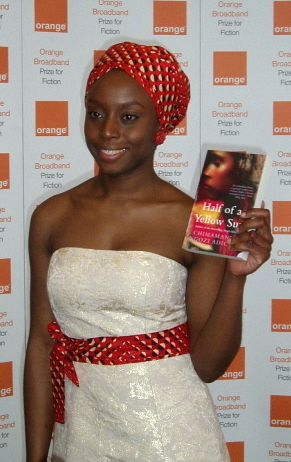 Chimamanda has became very popular for many reasons other than her writing. She has also been called a “feminist” which she openly spoke about on one of her speeches by saying what her view and opinion on Feminism is. Like she said on her speech featured on Beyonce’s “Flawless” song : – “Feminist: the person who believes in the social, political and economic equality of the sexes.” which i think summed it up perfectly! I really look up to this woman and i think she is an icon for Women and young children. A lot of Men feel that she is doing wrong and that she shouldn’t say half of what she says.. which i have experienced when i posted a status on facebook quoting one of her brilliant speeches and quickly the Men on my Facebook got a bit heated and annoyed! lol I think this is just because some people cant handle the truth in my opinion! I Don’t believe that she is sexist nor do i believe that she says or writes anything offensive towards men. She is simply saying and writing what she feels and to me, he words and speeches are very inspirational and something to learn from. I think the world needs a lot more Women like this who can openly speak their mind on what they believe. 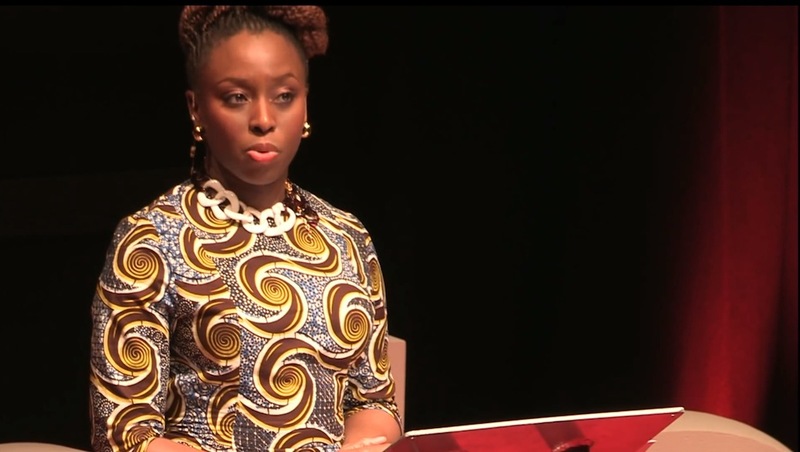 Chimamanda has quickly became one of my favourite authors and i would even go as far as saying she is one of my role model’s. I look forward to reading more of her work and i hope everyone else gets the chance to check out some of her great work. I think she deserves more praise than she already gets because she is a very talented woman!